Public health mural, 2009. Photo by Veronica Miranda. On September 3, 2012, outgoing president Felipe Calderon made his sixth and last televised State of the Nation address. He reiterated that every low-income woman in Mexico would have access to free prenatal care and delivery. This monumental change in the national public health system came in response to Mexico’s pledge to achieve the United Nations’ Millennium Goal Five that aims to significantly improve maternal health by the year 2015. The goal encompasses two primary objectives: 1) reduce maternal deaths by 75 percent; and 2) provide universal access to reproductive health including prenatal care (MacArthur Foundation 2008). Implementation of the policy has taken place through the adoption of the poverty alleviation program Oportunidades; founded in 2002 and based off its predecessor, the social program known as Progresa. It is critically imperative to assess and analyze Oportunidades, especially since it is currently supported by powerful financial institutions such as the World Bank and the Inter-American Development Bank. Both of these influential institutions promote the progam as a model for global social and economic development. Oportunidades is based on the assumption that maternal health disparities can be overcome by providing biomedical services to marginal populations through the distribution of performance-based cash incentives (Levy 2006). According to Calderon, it has become the most important federal program to fight poverty and social inequality. By the end of his presidential term, more than 6 million families, one in four Mexicans, have benefited from the program. The universal health program Seguro Popular works in conjunction with Oportunidades to provide poor women with state health insurance that grants them free hospital births. Oportunidades provides small financial stipends along with education and access to health care for Mexico’s most vulnerable populations: children under five and pregnant and nursing mothers. It is a program that attempts to solve poverty through a complementary approach that focuses on nutrition, education, and health. An important component of the program is the belief that individuals have a responsibility for their own livelihood and economic future. Unlike poverty alleviation programs in past decades, this program breaks away from a practice of providing food subsidies or actual food staples, such as tortillas and milk. Instead, participants are given cash transfers so that they can freely participant in the market economy, therefore providing them with more decision-making freedom. As Santiago Levy (the program’s co-creator) boldly states, Oportunidades “seeks to break the vicious cycle of poverty in all extremely poor households, rural and urban, in Mexico” (2006:21). The rhetoric behind this program pushes for three primary principles: participation, empowerment, and co-responsibility (here is a short video about the program from PBS). Since 2002, I have completed my undergraduate training, master thesis research, and initiated doctoral fieldwork in two sister pueblos (Saban and Huay Max) located in southwestern Quintana Roo, Mexico. The research community is rural and located away from major highways, which inevitably means that vital economic, political, and social resources are limited. The community sits in the heart of the Caste War region where 150 years ago Yucatec Maya revolted against the Mexican government and local ruling elite. This history is remembered not only through visual markers on the landscape but also by the political and economic repercussions of the war that left the region underdeveloped, disconnected, and impoverished. This is an indigenous community where Spanish and Yucatec Maya are spoken. Saban is the larger pueblo (pop. approx. 2,000) and has 500 women of reproductive age (INEGI 2005). All major state and community resources are located in Saban (state clinic, police station, higher educational institutions, and la casa ejidal—meeting place for communal land owners). Huay Max has just over a 1,000 inhabitants, 250 of which are women of reproductive age (INEGI 2005). The pueblos are connected through marriage, shared farmlands, state resources, and a socio-political organization that is dominated by Saban. Main sources of economic subsistence are agriculture and male migration to tourist zones along the coast (such as Cancun and Playa del Carmen). Few economic opportunities exist for women; yet, some raise money by selling livestock, weaving hammocks, and embroidering clothing. Women in the community spend most of their time in their domestic sphere, the solar (housing complex). The government clinic is one of the few places that women gather outside of the home. It is also the main place were women interact with members of the government and participate in what Joseph and Nugent (1994) referred to as “everyday forms of state formation”. The clinic is located in Saban and has been there for more than thirty years. It is a first tier health facility that provides primary care and is the only health center in the immediate region. The closest second tier facility is located an hour’s drive away and the closest tertiary care is in the capital city of Chetumal, 3½ hours away. Depending on the state health administration’s budget and availability, the clinic is sometimes appointed a full-time resident doctor and a senior physician. The clinic also employs 2-3 full time bilingual (Spanish/Yucatec Maya) nurses. The federal program Oportunidades is managed and distributed through the clinic. It has two primary goals: 1) to reduce maternal and infant mortality through preventative care and education and 2) to support continuous education among school age children. My research focuses exclusively on the first category. The majority of pregnant women in the research site participate in Oportunidades. Participants are awarded 400 pesos (approximately $34 US) every two months on the condition that they meet certain demands such as attending monthly education meetings and prenatal appointments at the clinic. As a result of limited economic opportunities, most women depend on this cash stipend as their primary source of income. Women also participate in the federal health insurance program Seguro Popular, yet their involvement is minimal. Women only use Seguro Popular when/if they seek care at the regional hospital. Although the majority of women use the resources provided by the clinic, most seek additional care from local midwives and prefer midwifery during childbirth. Three midwives work in the research site: two in Huay Max and one in Saban. All three are from the community and speak Spanish and Maya. They are empirically trained but have also attended various health education and capacitating programs provided by the Mexican government. Unlike the clinic physicians, midwives live and work in the community and they practice out of their homes unless they are attending a birth. Women in the community view midwifery and state biomedical care as two separate health systems that offer specific resources that at times can be combined to create approaches to pregnancy and childbirth that are specifically tailored to each woman. One of the main tenets of Oportunidades is an agreement to accept “co-responsibility” for the health and education of the participant’s children, both born and unborn. Co-responsibility begins with the state’s fulfillment of its part of the agreement by educating and providing health care to all participating mothers, as well as giving them a financial incentive for their cooperation. The other half of the agreement states that women are responsible for adequately feeding and clothing their children, making sure that they continue to attend school, and that they receive suitable nutrition and healthcare. Pregnant women are told that their responsibility as mothers and care providers for their children begins with the baby in utero, which is why they are required to attend monthly prenatal checkups. Failure to comply with any of the co-responsibility stipulation, results in immediate elimination from the program and therefore no cash stipend. The local government clinic physician and school administrators are in charge of evaluating if participants are fulfilling all program requirements. The majority of the women I interviewed said that although they were grateful for the financial stipend they receive every two months, they found the program requirements to be inflexible and sometimes unrealistic. Many women said that occasionally they had a difficult time attending all of their educational talks and/or prenatal checkups as a result of familial obligations or unexpected circumstances. These situations varied; from a child being sick, to a commitment to help another family member or friend, or the fact that the person was just not feeling well. Many women commented that, in the end the cash transfer did not really equal the amount of time they spent fulfilling their agreed responsibilities. In some case, women’s workload was significantly extended as a result of their need to fulfill all of their Oportunidades requirements. The unintended burden that conditional cash transfer program implementations have on female participants has also been documented by researchers working in Nicaragua (Bradshaw and Quiros Viquez 2009). Regardless of their many complaints and critiques of the program, all the women I spoke with in Saban and Huay Max adamantly stated that they valued and in many cases depended on the resources that they received from Oportunidades and did not want the program to go away. Instead, what they wanted was more involvement in program development and implementation. An additional critical analysis of Oportunidades demonstrates the Mexican state’s attempt to place the responsibility for the care of its young citizens onto their mothers. Through Oportunidades, women are given everything that they need to support the education, health, and nutrition of their children. Therefore, the program absolves the state of any responsibility for the welfare of poor Mexican children. Oportunidades is similar to other state poverty alleviation campaigns that have historically taken place throughout the world which focus on the responsibilities of motherhood and “good citizenship” (Davin 1997). England instituted a similar national program during the early twentieth century that stated, “the infant cannot indeed be saved by the state. It can only be saved by the mother. But the mother can be helped and can be taught by the state” (Davin 1997:125). This case is a clear example of how classical ideology about the designated responsibilities of the state and its citizens continues to affect current social programs. Oportunidades is revered both nationally and internationally as a success and a model poverty alleviation program. These evaluators support the Mexican government’s emphasis on including the extremely poor in programs that ultimately lead to their transition out of poverty. In Oportunidades, the poor are required to participate in specifically designated practices that are intended to increase their “human capital”; these include the attainment of continuous education, the regular attendance of health checkups, and the eating of nutritional foods. Mexico is framing Oportunidades, a conditional cash transfer program, as an agreement of “co-responsibility”. This co-responsibility is two sided. The Mexican state will help its extremely poor citizens by giving them financial cash stipends as well as providing them with the education and good health that they need to succeed. According to the state, by removing these social and economic barriers poor individuals no longer have damaging obstacles set in front of them that would limit their potential. Yet, it is important to remember that Oportunidades is a conditional program. Participants are required to follow all requirements or face immediate removal of the program. In the end, the discourse of co-responsibility absolves the state of its obligation to its citizens by placing all social and economic welfare on individuals. As Molyneux (2006) explains, Oportunidades’ practices of monitoring, coercion, and surveillance benefit the larger political and economic goals of the state government and not the participants. The program negates to address critical infrastructural and social barriers that directly contribute to the overall health and reduction of poverty for women and children. These include better roads, clean water, enhanced literacy for women, and much needed medical resources for rural clinics and hospitals. The last two are crucial points, especially since the program attempts to move participants away from traditional forms of health into a formal biomedical health care system. Yet, the clinic in Saban, along with the two nearest public hospitals, currently lack the medical technology and staff to meet the needs of all the women and children in the area. Ultimately, supporters of programs like Oportunidades argue that poor and unhealthy people are to blame for their own circumstances, since the government has provided all the resources needed to ensure a good quality of life (e.g. education, health care, and financial assistance). This discourse about personal responsibility is nothing new, and has been discussed extensively in much of the anthropological and development literature. But an interesting and important phenomenon that I am seeing in my current research is how rural indigenous women are using Oportunidades’ discourse of co-responsibility to make claims on the state. According to the women in the community, if they comply with all of the requirements of the program then the state must be responsible to fulfill its obligations as well. This was evident in the women's resistance to a community clinic physician who they felt refused to respect their cultural traditions and approaches to birth. When these women complained to government officials about the local physician, they specifically focused on the fact that this physician had mismanaged her position as a regulator and assessor of Oportunidades. The tenuous relationship between the physician and many of the women in the community climaxed when the physician penalized all the of the 300 plus women from Saban who were participating in Oportunidades by officially stating that the they did not comply with the program requirements for that payment cycle and therefore they should not receive their cash stipend. According to the women this was not true--they argued that they had met all of their obligations and it was the physician, not them, who failed to follow the contractual rules of the program. In response, the women organized together and protested their grievances to state health policy officials and demanded that the government replace the physician with someone who would was more willing to work with the community while also fairly managing his/her responsibilities within the program of Oportunidades. The key part of this issue is that the women in the community are not making arguments against biomedicine or even the Mexican state; instead, they are demanding better oversight from the government, and accountability from local physicians. Ultimately, these women are also standing up to doctors and the government in an attempt to make them understand that their continued use of midwifery is a response to the practical, economic, and political limitations of state health care systems in rural Quintana Roo. 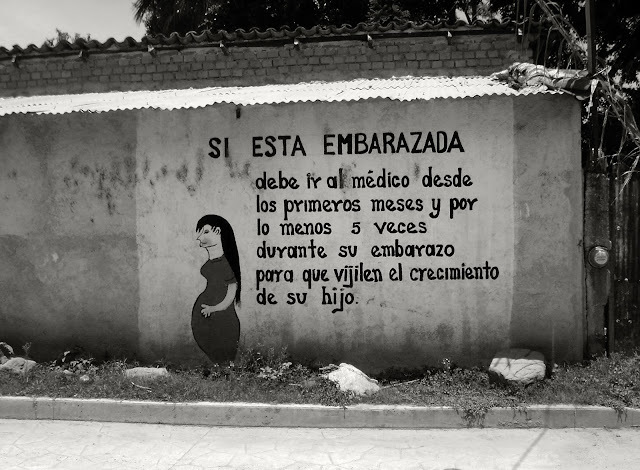 In many respects, midwifery is a safety net that many women rely on when the Mexican government is unable or unwilling to hold up its end of the health care bargain. Bradshaw, Sarah and Ana Quiros Viquez. 2009. Even if conditionalities work, do women pay the price. Poverty Insights 80: 6. Davin, Anna. 1997. Imperialism and Motherhood. In Tensions of Empire: Colonial Cultures in a Bourgeois World, Fredrick Cooper and Ann Laura Stoler, eds. Berkeley: University of California Press. (87-151). Joseph, Gilbert M. and Daniel Nugent, eds. 1994. Everyday Forms of State Formation: Revolution and The Negotiation of Rule in Modern Mexico. Durham: Duke University Press. Levy, Santiago. 2006. Progress against Poverty: Sustaining Mexico’s PROGRESA-Oportunidades Program. Washington DC: Brookings. MacArthur Foundation. 2008. Mexico Offers Free Prenatal Care to Poor Women. Published May 27, 2008. http://www.macfound.org/site/apps/nlnet/content2.aspx?c=lkLXJ8MQKrH&b=1479547&ct=2051861. Accessed November 28, 2010. Molyneux, Maxine. 2006. Mothers at the Service of the New Poverty Agenda: Progresa/Oportunidades, Mexico’s Conditional Transfer Programme. Social Policy and Administration 40(4): 425-449. This is a great piece because it reminds us that Maya women's "traditional" gender ideology can be ably challenged if women feel pushed into unacceptable situations. The women of Saban are not passive recipients, but active agents in their own and their children's well-being. I look forward to the next phase of your research.